You have to wonder, what is it about Donald Trump that frightens liberals, media, academia and the establishment class in politics? Those who see Donald as a hateful, unstable, shallow, boisterous billionaire need to consider whether they are responding to the man and what he actually says or reacting to the man's caricature. Barack Obama deliberately ran as a blank canvas. Trump is the opposite. He is in some strange way a mirror that reflects whatever you are. Some people "get" him and others don't—and those who "don't" never will. The real spirit of this conflict is laid bare if you read the 51-page Democrat Party platform. It's the manifesto Hillary Clinton is expected to enforce if she becomes president. In Hillary's America, we would undergo the final phase of Obama's radical, socialist cultural transformation with astonishing speed. They call this revolution a "reset." And just one man stands in its path. When I first heard Donald Trump speak, he was returning from a trip to Iowa where he met evangelicals. Asked what he thought about them, he replied, "Well, they're interesting." He sounded like he had encountered a rare bird species never seen in Manhattan. With 16 candidates running, and many of them strong Christians, it didn't seem likely Trump, the business man outsider, would go far. But I heard the Lord say: "Donald Trump is a wrecking ball to the spirit of political correctness." Immediately I began to wonder what God was doing. Could this odd man out be the unpredictable instrument of God for a nation entering what the authors of The Fourth Turning call the crucible—a cycle of American history where we are put to the ultimate test? When the Lord spoke to me about Trump as a wrecking ball, I sensed Trump was about to break up the narrative driving the nation. In that moment, the media was highlighting gender change with Bruce Jenner, safe places on campuses and riots in Ferguson. The terms "homophobia" and "islamophobia" were being attached like a scarlet letter to anyone who had concerns or convictions out of sync with popular opinion. No politicians were talking about borders. While evangelicals were walking on eggshells, Trump took over the conversation and has dominated it ever since. Unlike any candidate in electoral history, Trump has shaken up the establishment in media and politics. Until Trump arrived, a handful of insiders held the undisputed power to prop one contender up or take an unruly voice down. As the media found out, they can only break you if they make you. They didn't make Donald. As I traveled to Trump Tower, I wondered, "How far will this wrecking ball go? Why would God choose Trump when so many true conservatives and Christians were already running? Is Trump an interruption to God's plan, or is the battle for America changing in a way we haven't caught up with?" We've been losing the culture war decisively for the last decade, largely because we never knew how it was fought in the first place. Christians represent a sufficient number in America to impact the nation. Why do we fail? I've researched this topic for 20 years and keep coming back to a conclusion my colleagues and I don't like—namely, culture isn't shaped the way we thought. We assumed culture is a reflection of the values of the majority of the people. If you can turn the majority, you can tip the culture—or so we thought. The truth is, a relative few shape the culture, a remnant of elites in proximity to power. This is why you can't evangelize a nation into transformation. Christians already outnumber other groups but keep losing influence. To put it in Christian terms, a remnant of gatekeepers who sit at the culture-shaping gates of influence are making the greatest impact. This powerful elite is made up of dense, overlapping networks located and largely concentrated in the coastal cities and distributed among the peak institutions of government, law, academia, journalism, banking and entertainment—institutions that touch us all. It's a revolutionary distinction. Revival ignites from the bottom up, but cultural reformation solidifies from the top down. You must occupy the gates! Christians by and large are not concentrated in these heights. This explains why a remnant in the progressive left has succeeded so radically since President Obama came to power, true to Jesus' saying: "For the sons of this world are wiser in their own generation than the sons of light" (Luke 16:8). 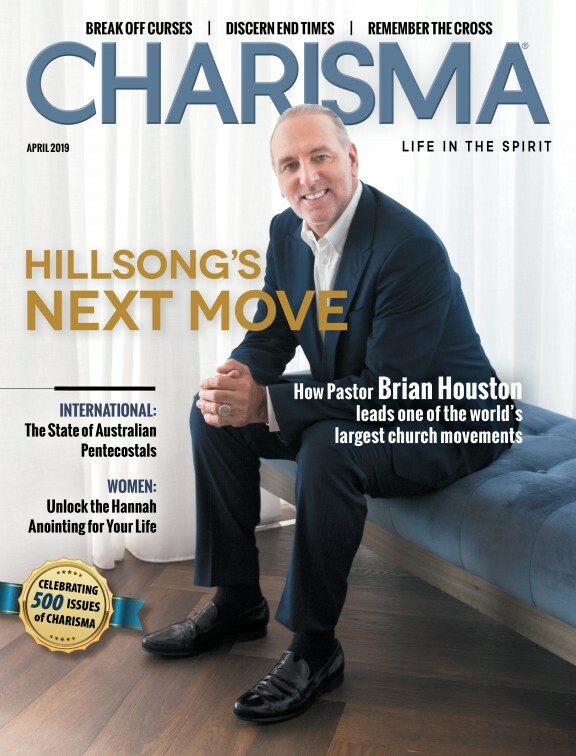 Put simply, evangelicals and charismatics are a large but disjointed group. We don't work together and we don't occupy key "gates" in the high places of opinion shaping. In spite of this, Trump sees this group as critically important. By putting America first and building a people movement, Trump becomes a wild card that messes up the elite globalists' insider game. Whatever you bow to on the way up the mountain controls you at the top. Hillary Clinton comes to the top of the political mountain with 1,000 strings (attached to 30,000 missing emails) where Trump comes with none. This is why the lawless Left and establishment Republicans don't trust him. He's not tied into the system. How will the Left accomplish their final "reset" for America? The winner of this election will have the power to appoint three or four more Supreme Court Justices. To use a J.R.R. Tolkien analogy, this is the "one ring to rule them all." The winner has power to protect our constitutional freedoms or alter the meaning of the Constitution and punish, prosecute and persecute the opposition for the next 40 years. If Democrats win, the court will be the rubber stamp behind the radical "reset." As Hugh Hewitt, a law professor and media commentator, says: "Every issue, every issue, will end up there, and the legislature's judgments will matter not a bit. So vote for Hillary Clinton (or sit it out) and then prepare for the deluge of court-ordered solutions to every social problem, bench-drawn congressional districts and extraordinary deference to every agency of the federal government combined with a sweeping away of federalism." Traditional Judeo-Christian morality doesn't exist. Moral relativism that judges morality itself has replaced it. This is the ultimate spoil of the culture war, the power to define the meaning of words. Hence, the meanings of "marriage" and "gender" have already changed and are just the beginning of a whole new vocabulary. Soon freedom of speech itself will fall under the scornful branding of "hate speech." Sound unrealistic? Watch what a progressive Supreme Court comes up with for laws! Spiritual warfare is all about whose version of reality becomes manifest on the Earth. Christians are about to make a big mistake in this election cycle if they buy into the wrong narrative about Trump. Our choice is now George Soros or Cyrus. My first meeting with Trump was Dec. 30, 2015, in the boardroom on the 26th floor of Trump Tower. Most of those attending did not know each other personally prior to the meeting. It was a rather eclectic sampling of evangelicals, a group within the larger self-described "Christian" community that makes up nearly 30 percent of the American population, some 30 million potential voters. It is not easily noticed on TV, but Trump is a big guy. I don't just mean in terms of personality. He is physically tall at 6 foot, 3 inches. Add heels and hair, and he grows another inch. His personal style is more restrained than the man you see on a platform or in an interview. He was gracious, nonconfrontational and surprisingly open to "give and take." I got the impression that Trump takes in information quickly but filters it equally fast to distinguish one idea from another. It's an executive skill I've noticed in CEOs in whatever field I meet them. They are avid fact-finders with a built-in filter separating superficial ideas from ideas with substance. As individuals spoke, he read them and weighed their relative power within the group. A Messianic Rabbi sitting near me said, "Your comments don't always represent you in the best light. People want to know you have a presidential temperament. They want to know that you are a person they can trust with a finger on a nuclear button." Trump pursed his lips in characteristic fashion, nodded thoughtfully and said, "I hear you." When the conversation turned to some of the more heated exchanges of the campaign, Trump explained, "You know, people aren't aware of what is coming at me ... what I am responding to, like the storm that broke out when I took a stand on immigration. It can get pretty vicious. You don't always know the backstory. I can say this, I never punch indiscriminately. I'm a counter puncher ... but I fully hear what you are saying. I know where you're coming from." Several of us exchanged glances. There was no denial and no need to drill deeper on the subject. Equally, there was no flippant or disingenuous commitment to change. He would do as occasion required—until he clinched the nomination. One significant difference between this meeting and Trump's earlier encounter with Iowa evangelicals was the presence of a number of African-American ministers. Almost to a man, they described to me the backlash they encountered for even being willing to meet with a Republican. It was interesting to watch the interaction. In contrast to the rabbi, Bishop Darrell Scott of Ohio said, "I wouldn't change a thing. Be you and keep being consistent. That's what people like about you. You're not playing politics." Trump looked around the boardroom table and laughed. "So you're saying, 'Don't change'? Well, that's interesting!" Darrell replied, "Right! People would see you change and know it isn't you. You would start to look political, and that would make you look like everyone else. Just be you! I came here with an open mind. To my way of thinking, there are three branches of government: legislative, executive and judicial. You are clearly gifted for the executive branch. That's what you do." As our meeting continued, I was surprised to find that Trump actually knew some of the preachers and teachers in the room, not because he had met them but because he had watched their TV programs. Media is one of his domains. He is very much dialed in on all sorts of TV programming, including Christian programming. Trump casually shared, "I was going around the dial last night and ran into Politically Incorrect." This is the popular left-wing HBO talk show that comedian Bill Maher hosts. "It's amazing how antagonistic they are about people of faith. It was painful to watch ... wasn't always like this in America," Trump said. Turning to TBN's Jan Crouch, he asked, "This seems to have been going on for a while hasn't it?" We all agreed. Trump scanned the room and said, "I think we had such a long period of Christian consensus in our culture and we kind of got ... spoiled. Is that the right word?" Then he turned the tables on us and said something shocking: "Every other ideological group in the country has a voice. If you don't mind me saying so, you guys have gotten soft." Ouch! That's the line I won't forget. Then in a moment of reflection, he corrected himself, "I mean, we, myself included, we've had it easy as Christians for a long time in America. That's been changing." From Trump's perspective, Christian leaders are a people living in fear of having opinions. Subsequent to this meeting, he proposed lifting the Lyndon Johnson ban on churches discussing politics that hangs like an IRS sword over the heads of churches in America. The truth is, even if it's lifted, pastors fear offending their flock. What he said next may have been lost on others, but it hit me in a particularly striking way: "People who identify themselves as 'Christian' make up probably the single largest constituency in the country, but there is absolutely no unity, no punch ... not in political consensus or any other area I can see." When the meeting broke up, I went home feeling certain there is some sort of anointing on this man, but I couldn't get my head wrapped around where he fit, nor could I figure out the purpose for me being in that meeting. That was when the next unexpected download hit me! I was updating some random social-media activity when I ran across a simple PowerPoint showing Trump seated in the Oval Office with the words "Donald Trump, 45th President of the United States." The image made a peculiar impression on my mind. I was dazed. Literally no one was thinking this would be a possibility, but I was sensing this was more than some random Facebook meme. It was a prophetic picture. It struck me the same way the "wrecking ball" word did. I heard the Spirit impress upon my mind, "Read Isaiah 45." To be honest, I didn't recall what the chapter was about. I opened a Bible and began to read, "Thus saith the Lord to Cyrus whom I've anointed." Cyrus? I thought. Who is he in relation to all this? I recalled that he was a heathen king who was indispensable to the protection of the Jews, but I was, frankly, confused as to what God was saying. With 16 candidates running, many of whom are evangelicals, why would God talk about Cyrus? I quickly looked up the number of the next president. I confirmed that Barack Obama is number 44. The next president will indeed be number 45. I kept reading Isaiah 45. "Thus says the Lord to Cyrus, His anointed, whose right hand I have held—to subdue nations before him and to loosen the loins of kings, to open doors before him so that the gates will not be shut: I will go before you and make the crooked places straight; I will break in pieces the gates of bronze and shatter the bars of iron" (Is. 45:1-2). Cyrus wasn't a Jew and he wasn't from the line of David, but God elevated this foreigner and called him "My anointed." When Isaiah described Cyrus as the Lord's "anointed," the word in Hebrew denotes a person specifically chosen and set apart for a specific task. It never occurred to me God anoints secular leaders who are not part of the faith community. Then again, how else would you describe Cyrus, Churchill, Lincoln or even Reagan? God promised to intervene and help Cyrus "break open" and even conquer. The commandment to restore and to build Jerusalem starts with Cyrus' decree recorded in Ezra 1:1-4 to rebuild the house of the Lord. It was this "Cyrus decree" that worked its way through King Darius and King Artaxerxes until Nehemiah commenced his task to rebuild the wall surrounding Jerusalem. These two phrases, "the house" and "the wall," should make believers stop and wonder. This is a direct promise to the church and restoration to society. The controversy over "building the wall" in current-day politics is more symbolic than people think. What do walls represent in the Bible? Proverbs 25:28 says "He who has no rule over his own spirit is like a city that is broken down and without walls." America has become a nation without walls, a nation without self-government. We are out of control fiscally and physically on our borders. It reminds me of the prophetic statement of Lincoln, who warned that no foreign power would destroy us: "No, if destruction be our lot we must ourselves be its author and finisher. As a nation of free men we will live forever or die by suicide." I believe this wrecking ball is sent to break the spell and stop the death spiral. Enter common grace. Right after I heard the Lord tell me to "read Isaiah 45," two words echoed in my head: "common grace." Reformed theologians use this term, which was first introduced to me while reading Chuck Colson. It describes the grace of God that comes down upon a fallen world to keep in check the forces of anarchy, and the inclination of the sinful nature of man to self-destruct. In other words, common grace is the grace that comes upon all (Christians and non-Christians) to help them affirm the good and resist the bad, personally and institutionally. It's the hidden hand of God that works to promote justice and order in a world where selfishness could produce societal collapse. "Saving grace" is what gets you saved, and "common grace" is God's special influence that comes upon man to keep society from imploding. To the point, I liked Trump the moment I met him, but I'm like any other believer with a born-again experience. I want to know the man has had a personal encounter with Jesus. When I read Isaiah, this verse stood out to me: "I have even called you by your name; I have named you, though you have not known Me" (Is. 45:4). "Have not known Me"? Suddenly I felt better about where he is in his journey. This is a lot to process, isn't it? Trump falls into a unique category of individuals. These are men and women the hand of Providence serves up. They are typically people whose singular strengths and convictions match a certain test in history—a crucible. As Churchill said, "All my life was a preparation for this moment." Figures like Churchill, Lincoln and George S. Patton don't step out of cathedrals onto the stage of history, yet we canonize them later as instruments God raised up to meet a singular crisis. Curiously, none of them were the darling or favorite of contemporary Christians. Preachers thought Lincoln to be a godless skeptic; they stumbled over Churchill's cigars and scotch; they balked at Reagan's divorce and children from two marriages. None of these instruments of providence rose through the ranks of evangelicals, yet each of them ended up as a defender of Christian values. This came home to me in the most shocking way as I replayed Trump's words. Like the Scottish heir to John Knox, he shouted back to the Vatican, "I am a Christian and I'm proud of it!" Churchill himself framed the contest with Hitler as a "battle for Christian civilization" and insisted "Onward Christian Soldiers" be sung on board the ship where he and Roosevelt forged their alliance against the Axis powers. Lincoln quoted the Bible more than any other president, yet he refused to join any established church. This is the proposition I give to Christians who are dispirited by the failure of their favorite candidate to capture the nomination: Don't ask, "Who is the most Christian?" Instead ask, "Who is the one anointed for the task?" "Common grace" tells us that God acts in history to raise up leaders from unlikely places for the sake of His purposes and His people. In 1860, the pious evangelical Salmon Chase was a better Christian than the men he ran against, but the wily Lincoln got the nomination. Chase could not understand why God had denied him, but in the end, the Springfield, Illinois, lawyer proved to be the most suitable vessel for the coming chaos. From my perspective, there is a Cyrus anointing on Trump. He is, as my friend Kim Clement said three years ago, "God's trumpet." I predicted his nomination, and I believe he is the chaos candidate set apart to navigate us through the chaos that is coming to America. I think America is due for a shaking regardless of who is in office. I believe the 45th president is meant to be an Isaiah 45 Cyrus. With him in office, we have an authority in the Spirit to build the house of the Lord and restore the crumbling walls that separate us from cultural collapse. Even then, this national project is likely to be done, as Daniel prophesied, "in times of trouble" (Dan. 9:25). Let's remember, as much as 70 percent of Americans self-describe as "Christians." These include Catholics, Presbyterians, Episcopalians and Lutherans. Within the total population, 30 percent say they have encountered Christ in a "born-again" experience. There are many who believe they are Christians who do not use our language. Are they trying to deceive us? No. While we met, Trump shared an insight into himself that surprised me. He revealed how he views himself in contrast to pastors and clergy. Tapping his Bible, he said, "Look, I freely admit that while you all were pursuing a higher calling, I was running around building buildings and making money." It harks back to an earlier time in American life when "men of the cloth" were held in higher esteem. Notice he considers the work of ministry a "higher calling" than what he was doing when he made his billions. In some ways, this was a humbler admission than most people of wealth and affluence ever make. Trump may be shrewd, but in matters regarding his faith, he possesses the self-conscious candor of a man who knows he falls short but who fundamentally shares the same beliefs. The genuineness of this connection was on full display in the acceptance speech he delivered in Cleveland where he thanked evangelicals and in a rare moment of emotional vulnerability spoke off script saying, "I don't know that I deserve it." This one moment reveals the true heart of the man. Trump is more prophetic than most people realize. He is Churchillian in this regard. He sees the threat nobody else has courage to talk about until it's too late. He sees it with radical Islam, he sees it with the soaring $19 trillion debt, and he sees it in America's tinderbox of the inner city. Trump accurately predicted by name that Brussels was no longer the same community he knew years ago. The press was picking apart his statement at the very moment Brussels became the epicenter of another round of organized terror and death. Likewise, Trump predicted the "Brexit," while expert commentators in media and government were stunned. Christians should take note of this. Media in the post-Cleveland conference of the Republican Party described Trump's message as "dystopian" or dark. However, those who agree with Trump found the message encouraging simply because someone was finally telling the truth! A full 70 percent of Americans say the country is on the wrong track. Trump is much like Churchill, lifting a warning voice about the unravelling of America at a time when the ruling class, buttressed by the media, want to deny there is anything wrong! In all likelihood, Trump is intuiting that which is on the horizon if changes are not made. Like Churchill, the opposition wants to exile him for sounding an alarm in his disturbingly blunt manner. The media assault on Trump is unprecedented. Let my account provide an alternative viewpoint. I am thankful to Steve Strang for the courage to publish this potentially controversial piece. Trump is not a perfect man or a flawless candidate. But I do believe I've heard God. Lance Wallnau is a catalytic thought leader. An internationally recognized speaker and business consultant, he is one of the premiere speakers on the subject of cultural transformation and the seven mountains. Find him online at lancewallnau.com.